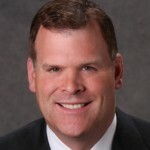 The decision by John Baird to resign as Foreign Minister raises the question – what legacy does he leave after four years in the post? All agree he tackled the job with vigour and dedication, but what has he achieved? On his departure, is Canada positioned more or less strongly to pursue its foreign policy objectives? Peter Jones is Associate Professor at the Graduate School of Public and International Affairs (GSPIA), University of Ottawa and a frequent commentator on security issues and the Middle East. Colin Robertson is a former Canadian diplomat, and a Senior Strategic Advisor with McKenna, Long and Aldridge, LLP. He is Vice-President and Fellow at the Canadian Defence and Foreign Affairs Institute and Executive Fellow at the University of Calgary’s School of Public Policy; he writes often on Canadian foreign policy. David Petrasek is Associate Professor at GSPIA, and formerly an international human rights lawyer with the UN and various international NGOs.